chances are you're still getting a bunch of inquiries every fall. Maybe you think you lack the product knowledge or tried renting in the past but it wasn't worth all the administrative hassles, particularly when the profits went down the drain because an instrument or two "went missing". Provide your customers the top quality, name brand instrument that teachers love from the industry's most experienced rental instrument company. All EASYRENT Direct transactions are handled on your branded EASYRENT Direct website. Customers make payments, request service and manage their account online. 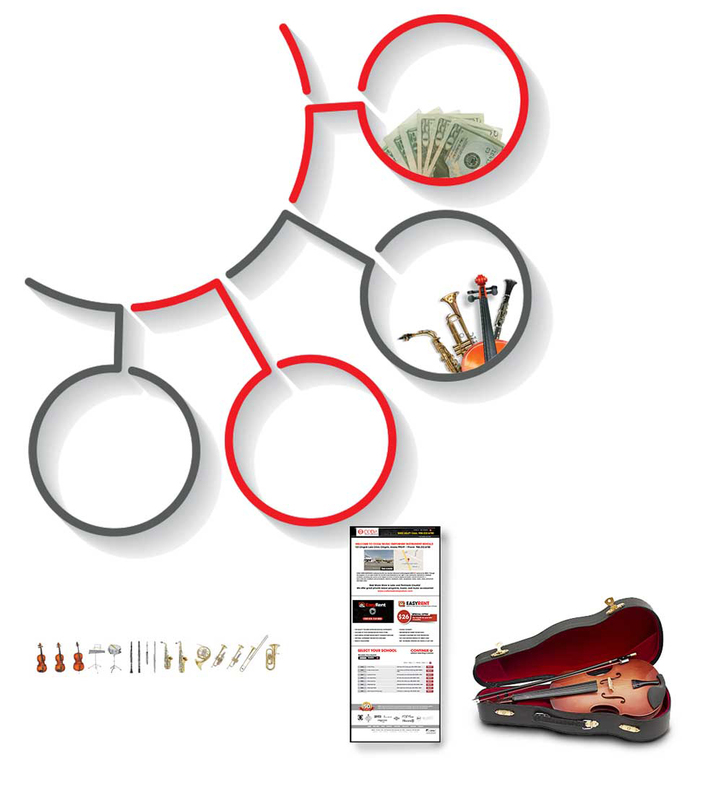 In the unlikely event the instrument needs to be repaired or exchanged, we offer expedited return service via one of the thousands of UPS drop-off locations nationwide. There is never a reason to take delivery of a single instrument. All instrument are shipped directly to the customer. Each order is carefully packaged in a reusable shipping container and comes with everything the student needs to get started, including care and maintenance instructions. RENTALS IS A STORE, STUDIO OR WEBSITE WITH CUSTOMERS WHO WANT THE VERY BEST.